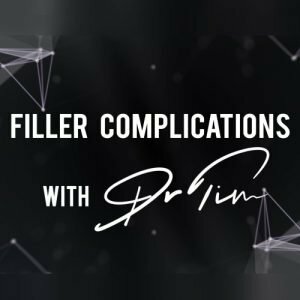 Although it will hopefully not be a regular occurrence, having the necessary knowledge to be able to reverse dermal fillers well is absolutely essential for good aesthetic practitioners. SkinViva Training’s Dr Tim Pearce has put together a graphic guide to Emergency Reversal Protocol. FREE Graphic to Keep to Hand! You will receive access to the document on completion of this form. This free graphic is provided by SkinViva Training. Past delegates who have any clinical concerns or issues can take advantage of ongoing support from SkinViva Training. Complications Advice Line – all or email us with any complications or side effects to get advice from our experienced practitioners. We aim to respond to all enquiries within 24 hours with a professional medical opinion. Call 0161 850 2491 or email info@skinvivatraining.com. Facebook SkinViva Trainee Network – a closed group for delegate discussion with daily discussions and support between delegates and our professionals. Several hundred members and growing fast. For further information about profitability, working in the aesthetics business or to discuss which course is right for you, please call 0161 850 2491, or email info@skinvivatraining.com.